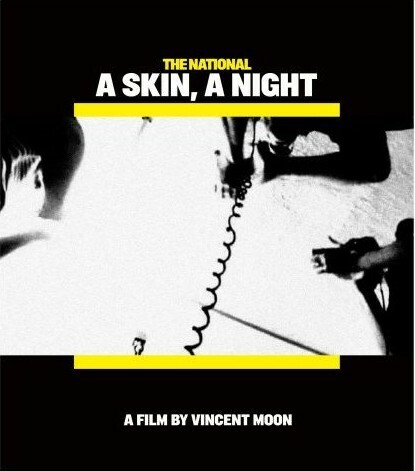 The National | A Skin, A Night (DVD) & The Virginia (EP) Giveaway! It seems like it was a little under the radar, but yesterday (05/20) The National released a new documentary film and a music EP. The film is called A Skin, A Night and it chronicles the making of the album Boxer. The new EP is called The Virginia EP and it contains a full album’s worth (it clocks in at 45 minutes) of hard to find B-sides, demos, and live performances. And if that wasn’t enough to get you excited, I’m also giving away a free copy of the new DVD/EP package by The National to a random person who emails me at contests@bumpershine.com and tells me which Bowery Presents venue The National had the honor of opening last year. All The National tour dates after the jump. Next Post Want Your Kid To Sing at The US Open?